Stepping in June, we’d be able see the flower in the picture, flowers of this tree blooms only at night, I stayed late in study room these days preparing for the final exam. Stepping in June, we’d be able see the flower in the picture, flowers of this tree blooms only at night, I stayed late in study room these days preparing for the final exam. Life was listless in May and June, but because of them, there was a touch of delight. Although the exam week was around the end of this month, there were still a lot of essays and reports required to hand in. The toughest one was the physiological report. I had to analyze the data of more than 20 previous experiments performed. For example, I had to analyze the pulse, heart rate and ECG waves of the test subject after performing exercise. I had to calculate the wave interval and amplitude of the ECG waves as well as the pulse amplitude and explain the data collected. This was hard and time-consuming but I think that it allowed me to better prepare for report writing in year 5. Unbelievably, my freshman year in NTU has come to an end. To me, the days when I was sitting in front of my desk, revising for the HKDSE and praying for being admitted to veterinary medicine were just like yesterday! To be honest, I felt so ambivalent and complicated when it comes to the lapse of time. On one hand, I believe youth is so precious and I really want to grasp every moment of it, especially during the university age. 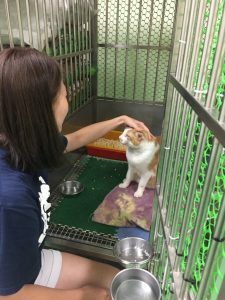 On the other hand, I am so looking forward to the days when I become a real vet back in Hong Kong, helping the animals in need, and get rid of the torturing study (there are just way too many things for a vet student to learn). 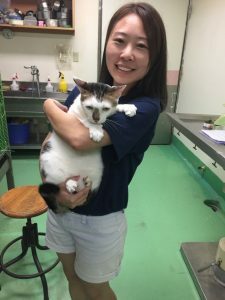 Nevertheless, I do learn and experience a lot during this year, and gain insight towards veterinary and animal sector, from which I have grown into a better person. Hence, I am full of gratitude that I did not waste this year. Also, I would like to encourage myself in the near future: the coming years may seem hard for you though, remember why you want to come here, and please fight for your dream bravely!